TECHNOLOGY EVALUATED IN A HISTOLOGICAL PORCINE MODEL. Presented at the Annual Meeting of the American Society for Laser Medicine and Surgery, 2018 Dallas, TX. contractions induced by the treatment. subcutaneous fat tissue. No safety risks were identified. were taken before the treatment, after 1 hour and 8 hours posttreatment. samples were tested for biochemical and hematological parameters. 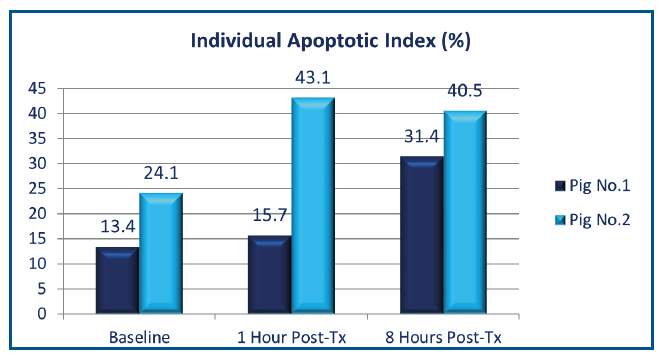 • The apoptotic index was calculated from 120 histological samples. Data were statistically analyzed using rANOVA. The experts at SF Bay Cosmetic Body Sculpting are here to help you achieve outstanding results through the technology of Emsculpt®. Burn off fat and simultaneously develop core and glute muscles unlike never before. FIELD TREATMENTS: A MULTI CENTER ULTRASOUND STUDY. USA; (5) Dermasense Dermatology Clinic, Burgas, Bulgaria. evaluated 1 month post application. points covering the whole abdomen. • On average 19.0 % (4.4 mm) reduction of fat was observed. had greater than 15 % fat reduction. • 91 % satisfaction with treatment results.